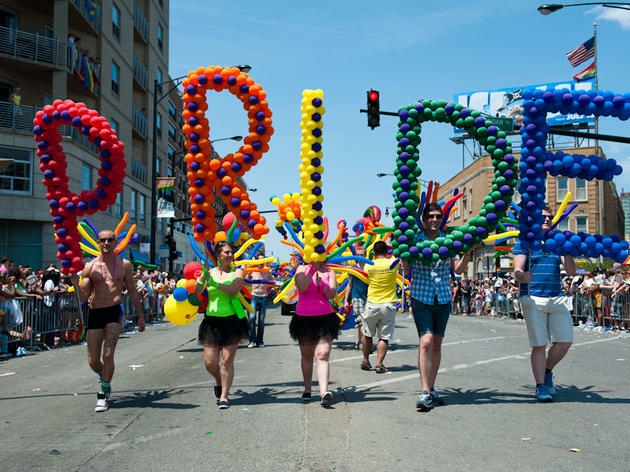 The Chicago Pride Parade begins at Montrose Ave and Broadway, heading south east on Broadway before veering south on Halsted St. 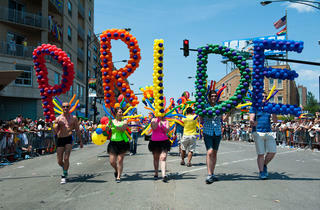 The parade continues fown Halsted and then turns east on Belmont Ave before veering south on Broadway St once again. After turning east on Diversey Pkwy, the parade ends at Lakeview Ave.
El: Red to Wilson, Brown to Montrose. Bus: 36, 78, 151.